If you are going to arrive in a state through plane flight, make sure that the arrival point of area that you chose has everything for you. Visiting Rochester in Minnesota? Why not arrive in Rochester International Airport and see how passengers and customers are being served there? The airport is being served by notable airlines such as American Eagle, Delta Connection and Sun Country Airlines, so you will have more alternatives to opt to in terms of booking your flight. Commercial planes commute to and from O’Hare, Minneapolis/St. Paul, Detroit and Laughlin/Bullhead City. Intending to park your car in this airport while you're away for a little while? The short term rates are $1.00 (for the second 30 minutes) and $10.00 for the daily maximum rate. The long term rates are $1.00 per hour and $8.00 for the maximum daily rate. You may also rent a car through the car rental companies that tie up with the airport. The pick up and return area of cars for rent is just adjacent to the short term parking lot. 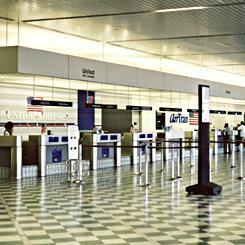 Visit our site often to information about Rochester International Airport.